My family was extremely fortunate to be guided to the McCool ancestral home by a distant cousin living in the area. Tommy McCoole shared much history and great times. The home (first picture below) was occupied by John and Olivia McCool in the 1670s. A second building (second picture below) on the property dates back almost as far; it was probably built for one of the sons. The above link goes to a Google Map showing a bird’s eye view of the area. Note McCool’s Road on the left side of the map. The road going to the right of the farm is closed to traffic. We had to hop a fence (escorted) and walk to the McCool houses. Follow the top whiteish, grayish line. The two buildings are near the end of the road(s). The first (lower) building is the son’s home. The upper building is the original house. Note the river to the right of the houses; you can scroll the map (and pan out) to follow the River Moyola to Lough Neagh. Charles: Looks like I’ll be the first McCool to leave a reply and thank you for posting photos of the original homestead of John and Olivia McCool. The pictures were awesome and I know Tommy McCoole enjoyed showing you the old home place as well as the beautiful countryside. My husband’s McCool goes like this: John Sr.> John Jr.> Thomas> Adam> Thomas> Jacob> James T.> John A.> Robert L.> Robert A. Your Andrew and my husband’s Thomas were brothers. You and I have corresponded about the McCool Genealogy in the past. Keep up the good work. hi there joyce .I know this may be a little strange but I just happened on this site in my search for a B or R McCool that was an artist in the 1800,s.i live in Australia and have recently purchased the most beautiful drawing of a young woman holding a carrier pigeon .its titled “the carrier “.signed and dated 29th September 1888.not sure if its American or English .the drawing does contain a blanket with stars and her frock is striped .thought it may be worth a chance asking here as im drawing a complete blank so far.just maybe someone here remembers him or her in the family tree .thanks for reading .my fingers are crossed. Our kinship goes pretty far back but we are kin just the same. I’m sure Olivia would be happy that so many of her +++ great grandchildren are interested in learning about the family’s journey, as well as connecting with each other. Hey Charles, just been messing around on this thing and came across your site. Your pics. etc. are looking good. So glad that we were able to meet and to share a little in things of common interest. Maybe in the great scheme of things we can get to do it all again one day. That would be something to look forward to. Best regards to Julie and the kids from all here. I too am an ancestor of John and Olivia. and any other McCools that might still be in the area. I’d like to stay as close as I can to the old homestead. I Can’t Believe I’m finally going to Ireland. Kathryn McCool, here is my relationship to you. Here is more of the family history back to Ireland:Kathryn McCool, daughter of Rex, born to Amos H., born to David A., born to John Henry McCool, born to Joseph Lewis McCool, born to Archibald born to William McCool (married to Margaret Walker) born to Archibald who died in the revolutionary war…. Archibald McCool and Benjamin were born to Andrew McCool, and m. Ann Torian in Halifax co., N.C.
Andrew was born to john McCool Jr., m. Sarah, John Jr. Was born to John McCool Sr. Married Olivia in 1729 of Toberhead, located on A-6, county Tyrone, Ireland, UK. I am 12 generations from my Irish roots. I am here in Ireland going to the McCool house tomorrow. I live in Ann Arbor mi. We are staying at the Belfast House in Cookstown, Co. Tyrone. This is amazing. John and Olivia are my 8x great grandparents. John>James I>James II> James III>Sarah McCool. Sarah is the last of the McCool name in my family line. She’s my great great great grandmother. The message below is from my son who has been working on our family tree. It is amazing what he has pulled out. He has been keeping me informed by e-mail. My dad is J.S. McCool, my grand father was John Thomas McCool. My son followed the family back to John and Olivia McCool and sent me pictures of the old homestead. My brother was Charles Edward McCool, he served in Viet Nam and left us for his eternal home a few years ago. John and Olivia McCool were my Great-great-great-great-great-great-great-great grandparents. I found a record that John McCool owned his own house at Toberhead by December 24th 1707. Corey b1962 in IN, Donald b1934 in IN, Arthur b1910 in IN, George b1873 in IN, Jourdan b1836 in IN, Thomas b1800 in KY, Joseph b1750 in SC, Adam b1730 in SC Adam ran the ferry discussed on this page, John McCool b1690 Antrim County Ireland, John McCool b1675 in Ireland? married to Olivia. Perhaps we share some ancestors. Does your line include Adam McCool from South Carolina? My g-g grandmother was Catherine Keaton Watson sister of Pheobe (Febby) Keaton who married John McCool and lived Dist. 10 Wilson Co. Tenn. 1880 census. Marriage info. by land settlement of parents William & Susannah Hollandsworth Keaton Aug. 2, 1866. deed book #2 pp 343-344 Wilson Co. Tenn. Does anyone have more info. ? I just found this blog site. John McCool and Olivia were my 5th great grandparents. My lineage is: John, James Adam, Gabriel, Thomas , Thomas S., Elmer then my mother Lois. They migrated eventually to Tama Count, Iowa. I have research my line to John and Oliva in Ireland, but have little information on their Irish ancestry other than Toberhead and the legend of Finn McCool. The pictures and information posted by all of you is just great and really adds to by history book I am putting together for my family. I would be so interested in any additional information about the John McCool’s in Ireland. We live in Roseville CA and do get to So. Cal on ocassion. It may be at some time I could connect with Albert Santos. Pat, I have a brother, Murray McCool, who works for the City of Roseville as a Building Inspector. I am Geneva Mearl Santos and live in Discovery Bay. My son is Albert Santos (Albie). He works at NBC and lives in Los Angeles. Carol Walker is my baby sister and I agree with her, we all need to meet up. Roseville is not that far from us. Anyway nice to know you cuz………. Hello Patricia, my father name is Richard McCool. According to my dad’s records we could be cousins. Please keep my informed of the latest Postings. I am Geneva Mearl McCool from Paris Texas. Hi Mearl. My name is Bill McCool and I was born in Gainesville Texas and I wondering if we are closely related. My Great Grand Father Jame G McCool migrated from Missouri to Texas in the 1840s and settled near ir in Whitesboro Texas. My Grand Father L.S.P McCool was orn in Whitesboro Feb 18, 1864. MY Grand Father settled near Muenster and Myra Tex where he had a farm and owned one of the early telephone companies in the ares. My Gread Grand Father was a Captain in th Texas branch of the Confederate Army during the civil war. I do not know from what part of Missouro he migrated fram or if he even had relatves in that area. I do know that in Nebraska the is a community called “McCool Corners”. Any way the reason I wrtiting you is that I wondering if we are closely related since geography has put us and our family name in small part of Texas. I just took a quick look at online census listings (through my library’s website). In 1870, the McCool family is in Whiteboro (Grayson county). James is 55 born in Kentucky. Wife is Lucinda, 39, b. Indiana. 4 children ages 10-19 b. Missouri, 5 children 6months to 8 years old b. Texas. Price is listed as 6 years old; he must be your grandfather L.S.P. James is listed in 1850 census in Lone Oak, Bates county, Missouri. He is 39, Lucinda is 29. 3 children. So, if you did not already know, James was born in Kentucky around 1811-15. He did not come to Texas until after 1860. Hello Bill, i hope you find my post here. From what you have written here I see that we are related and probably and not too distantly. We use to have family in the same areas of Muenster, Myra and Whitesboro. My telephone is 214-207-9119. My email is holly.mccool@yahoo.com. I would love to hear from you. My nsme Holly Jean Mcacool. Great pictures! I would love to say I’m connected to this McCool line, but I don’t know. Does anyone have information on a John McCool who married Jane Gilmore in 1846 in Kilrea? His father’s name was William and he had a brother named William as well. He came to the US in 1850 and lived in Massachusetts, USA until he died in the early 1860s. His son, Thomas Gilmore McCool came to Wisconsin, USA at age 11 after John passed. Hi, Kurt. Just came across your post from a few years ago. John McCool and Jane Gilmore were married 21 May 1846 at Kilrea 2nd Presbyterian Church, Co. Londonderry. He was a butcher, his father named William, and this was his 2nd marriage (two sons from 1st marriage). The McCool family left Ulster for Massachusetts 1849/1850 and there were 9 children from the 2nd marriage. John died 1 Oct.1864 and Jane in 1900. Jane Gilmore was born 6 Jan.1821, daughter of John Gilmore & his 1st wife Elizabeth Neilly. Jane’s sister Rosa Ann Gilmore was my great-great-grandmother. Any additional info you have about the Gilmore family would be greatly appreciated. I’d be looking for the names and dates for all of John Gilmore’s children by either first or second wife. I’d also like absolutely any info you have on John McCool, including the name of his first wife and first two sons. Almost no one is researching the line, as very few of John McCool and Jane Gilmore’s children have any living descendants. Several died as children and others never married. I should also mention that Jane’s sister, Mary Gilmore lived in Massachusetts and the sisters lived together after John McCool passed. Mary died in 1909. Hi Linda and Kurt – I have been eavesdropping on your conversation with a bit of interest – I don’t have a direct connection but my brick wall may be (I hope!) connected to your conversation. My McCool line traces back to an Edward McCool and his wife Ann, most likely born around 1823, and migrated also to Massachusetts (Blackstone, near Woonsocket, RI) sometime around the Famine, as their son Bernard (my g-g-grandfather) was born in Blackstone, MA in 1846. I don’t know of a John in my lineage, but things are so sketchy for me once I get into the mid-1800s he very well could have been a brother of my Edward for all I know. Where did your McCools move to in Massachusetts? It’s a very rare name in southern New England and if they were moving in the vicinity of relatives there’s probably a decent chance there was a connection. Linda and I have continued our conversation via private email since it mostly concerns Jane Gilmore, the wife of my ancestor John McCool, and her family. John McCool first came (1849/50) to Cherry Valley, MA, which is on the west side of Worcester, MA and probably 20 miles from Blackstone. The family then moved to Billerica, MA (near Lowell) for about a dozen years until around 1862 when they moved to Oxford, MA. John McCool died in 1864 and the remaining family moved back to Worcester with Jane Gilmore’s half-sister, Mary Gilmore. 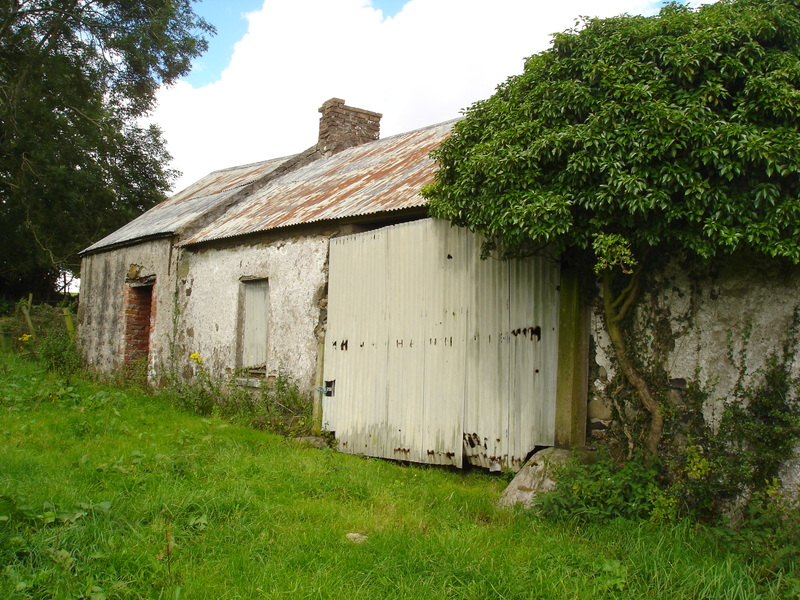 This has also been somewhat of a brick wall for me until I found the marriage record for John McCool and Jane Gilmore on rootsireland.com. I do not know if John McCool had a brother named Edward. He had a brother named William and probably a brother named Thomas. His father’s name was William and his mother’s name was Margaret. Thanks for your response. I happened to be doing some digging and came across this record for Jane McCool’s family in 1865 – I assume you’ve seen it, but just in case I thought I’d send it on. Not sure if she’s the same Jane Gilmore you referenced in your post? In any case, I’ve come across a bit more on Samuel McCool, who appears to have had a son Herbert in 1887. Let me know if you already know this stuff? Thx! Sorry I didn’t reply sooner. Yes, that’s my Jane (Gilmore) McCool. Samuel is her son and Herbert her grandson. I am descended from one of John and Jane’s other sons, Thomas Gilmore McCool. If you ever make a connection from your McCools to mine please let me know. hi there folks just started to do my family tree and came across this site,gee did not know there were so many mccool.s also spelt mccoole! !could we be related down the line some where? my fathers name is thomas mccool my mothers name is theresa. My grandmother was Elmira McCool daughter of James McCool. He was born in Ireland and came to America in 1725. I just came across your site …how wonderful! I have recently gotten back to finding my roots…My father John D. McCool was son of James Arthur McCool His father was John Jacob McCool but his father is( ? lost it) but we come from Walter McCool, and his father John and Olivia McCool as far as I can tell. Hey Cous, I was thrilled to find you in this thread. I think we are not getting any younger kid so we should saddle up and grab Sandra and take off to discover our roots. My daughter and I will be in visiting the area Aug.21st thru the 25th. My Names Carol McCool Walker,my daughter is Shayna. I’ve dreamed of visiting Ireland for a long, long time. I cant believe I’m finally doing it. I’d Love to meet you and any other kinfolk, and have a good look @ the old homestead. Whats the best way to reach you when we arrive? Hi Carol. Sorry that I have not paid attention to this blog and your messages for awhile. Tommy lives in Northern Ireland. I have not communicated with him for over a year. I will send him a note and see if he is available to show you around the McCool homestead. I haven’t been on the blog for awhile. I was surprised at the McCool ancestor’s here in Roseville. Thanks Bill and Paul for your postings. I believe most of the MCool’s here in the USA could traced back to John & Olivia. I am so sorry that I did not have the pictures and inaformation about the homwstead when my husband and I visited Ireland a few years ago. I just posted our family line up ..
Take a look. The Pugh name is also all over my geneology papers. And we’re in the S.F. Bay area. It was lovely to find this post and I will stay in touch. Two more of my McCool clan want to visit next year and I am hopeful to come with them. Please keep posting. I’m Very Proud of this. I am married to John Craig McCool, he is from Ms. Hi!!! My Grandmother was Alpha Ruddick McCool, granddad was James A McCool and my dad was Jr.and my brother was James O. McCool….. they were from Arkansas and surounding areas. I love to find anything and everything McCool.. This one you can be proud of, as it is confirmed by both a paper trail and DNA. Andrew J. McCool was my 3rdGGF. You might want to check my latest postings on both of the McCool forums. You may contact me via E-mail for further details and an Ancestry Report. Do you have any information or records for my grand father John Davidson McCool? He resided in Milroy, Mifflin County, Pennsylvania, United States. Carol, Thank you for you posting. I agree with you as to all of going back to John & Olivia. My first cousin , who also of the Mc Cool lineage, lives in Danville. Our mothers were sisters and maiden name was MCCool. I just met a lady @ the American Cancer Sociaty in Fremont who says her grandmothers maiden name was Mccool. Ella McCool with Arkansa roots. That would be interesting. I believe there is another one here in Roseville. Would need to rerea the blog. Hello everyone! This is so great! My great-grandmother was Elva McCool and her father was Perry Chappelear McCool. James Dent McCool and so on back to John and Olivia. My family came from Ireland in to Paw Paw West Virginia (originally Virginia). I have a tree on ancestry.com under Kimberly Kline. I recently visited our family grave there and took some pictures of the stones. Next I will be finding the McCool family farm in Paw Paw (I am only an hour away) if it still exists. Any help would be great and I hope to visit Ireland. Have a great day everyone! Toberhead is near Magherafelt and is in County Derry (or Londonderry), very near the border with County Antrim. You can do a search through Google Maps for “McCooles Road” and you will see the area. Along McCooles Road you will see a large operating farm. Further along the road, at the end (closer to the river), you will see two buildings. Those are the two abandoned McCool homestead buildings. Yep this is my McCool line! Thanks to all for all the hard work. What wonderful pictures. My name is Kristen Brown from Stow, MA. my aunt Grace Laverne Geisert Dunn wearing Lucinda’s Wedding dress. Is anyone out there interested in Lucinda Terry McCool as I am? Hello Kristen. My great great grandmother is Lucinda Terry McCool. I show she died in1889, however on her tombstone it shows 1883 at 52 years old. I would love to hear from you so we can determine how we are related. My email is holly.mccool@yahoo.com. my number is 214-207-9119. Greetings all… what a great web site. My g-mother was Minette McCool born in Leclaire Iowa (1898), lived in NE and WA state. My gg-father, William Andrew McCool was born in Leclaire IA (1856) and married to Sarah Garber. My ggg-father, William McCool was born in Allegheny Co, PA (1809), married Lydia Jack and moved to NE. My gggg-father, John Calvin McCool born 1787 in Ireland, married Mary Cunningham in County Down. Mary emigrated to Allegheny Co. PA after Johns death. Many of you who have posted here have claimed to trace your roots back to John and Olivia. I cannot find definitive proof of ancestors back beyond the above John McCool born 1787. I would appreciate any information you may have back beyond that John McCool. Been a few years since I last posted on this site! Was thinking, dreaming, came here and see all of these posts! To Debbie above, who descends from Walter. There is an inn/restaurant in Quakertown, Pa (I think), called McCoole’s Red Lion Inn. The history of the place says a Walter McCoole was the original owner. I’m not absolutely certain and son’s have proof to confirm it, but that may very well be “our” Walter. Records show that our/your Walter did own an inn in the area during that timeline. He was a younger brother to my James. Just curious! As for our line going to John and Olivia, we do have the documentation. In fact, in one of the Quaker history books there is a copy of her certificate of removal from the group in Ireland and arrival in America. Don’t have it in front of me, and posting this from my cell, but she and John, Sr is as far as we’ve gotten. I do hope some day we can break through those brick walls. First time I saw these photos of the old houses and the area, I cried. God willing, I’ll get to make that trip, too, one day. For those of you I haven’t already “met” thru geneology sites and Facebook, look for me. I love connecting the dots! My Grandmother was also Minnete McCool. My father was John Clarkson Hedges. I also have a sister, Bette (Hedges) Shultz, in Olympia, WA. I live in Mill Creek, WA. Richard, my ggg-father is Robert McCool born in Allegheny Co, PA (1816). I suspect he is the brother of your William McCool (b 1809). However I’ve found no documentation of that. The story passed on to me is that there were two brothers (Robert and William?) from PA. One came to Indiana and one “went west” (Iowa?). Can you confirm? That is correct. There were two brothers that went to Scott County, Iowa, William in the 1840’s and Robert in the 1850’s. Hello my name is Ashley Justine Danielle McCool I am the daughter of Russell Dale McCool and I wish to get to know all of my relatives from the great clan of McCool’s. I do not know much about our family and from what my father has told me most of the ones he knows and has met seemed rude and stuck up making me and my father the black sheep I guess you could say I do not know if that is true but I would rather make that judgement for myself instead of relying on pure hearsay. So if anyone would be willing to tell me anything they can about our family I would eternally grateful. Hi Ashley. You might get lucky and google your father’s name and find an entire family history online. Probably not, so here is one strategy to find motor information. Then systematically work backwards and discover/learn more family history information. Keep researching names through the census and google. Well, that is a start. Well that would be helpful if I knew the names of my fathers parents but I do not and I have not been able to contact him for the past 2 years. So I don’t think that information will be of any use to me but I thank you for trying to be so helpful and nice thank you very much. An Ancestors Report will soon be on it’s way to you containing details. Let me know (via E-mail) if you do not receive it. My ancestry research found John McCool born in Ireland in 1675 and died in 1727 in New Castle Delaware. Olivia was born in Ireland in 1675 and also died in Delaware in 1730. John’s father was named John (B 1654) and his son was also named John (1696-1761) spouse Sarah. My family tree went through the McCools to Mary Elizabeth McCool (1853-1908) who married John Thomas Burney. The Burney’s became the Mason’s which I am. I noticed some of the dates I have for John and Olivia are different from others. Can you confirm any of the birth years for me or any other information? SPECIFICALLY, I have John (1675) dying in NewCastle, De 1727 after coming to America in 1725. But I have seen comments he died in Ireland. Maybe that is a different John, though stated to be married to an Olivia also? I am not certain where they landed in America either. I appreciate any assistance any one can give. Rocky, Well, my research has not allowed me to follow my line back beyond John Calvin McCool b.1787 m. Mary Cunningham d.1841. As a result I have no information on your Johns. For what it’s worth, this John died in Ireland and Mary went to America with one or more of her sons after John’s death. 1850 census shows Mary in Allegheny Co, PA.
Hello Richard, Nice to make your acquaintance. I find your info interesting. May I ask if you can substantiate that John (1675-1727) and Olivia (1675-1730) both died in Delaware and if you know where they may have been laid to rest? Also: where have you found that his father was also John (b1654) and do you have any idea of where in Ireland he was located? (Toberhead perhaps as were John and Olivia?) I have not previously had any knowledge of this particular individual. Also: Olivia’s maiden name remains a mystery to me; I have been unable to uncover that bit of info. There is a suggestion that it may have been Adam/s. Can anyone out there help? On a lighter note…I haven’t been this way for a while, so, from the home of McCool; hello to all of you clan members whom I have not previously had the privelege of greeting. I have Gabriel and James McCool migrating to Delaware in 1725 due to the poor flax crop and sheep rot. John,their father died in Northern Ireland in 1719/20. Olivia followed her sons to Deleware in 1729. There is information that the sons may have returned to Northern Ireland. Researchers have found no further information about Olivia.. There are some who think it is possible she returned to Northern Ireland. No will has been found and it is strange that no Friends meeting has recorded her death, implying, perhaps she was not residing in her home meeting at the time. I have no information back any further than John (1675-1727). What info, if any do you have back beyond the above John? Tommy, you have become.an icon on this website… many thanks for all the support you provide. Any more information you have would be very much appreciated. I, too, do not know Olivia’s maiden name. To Ricard Hedges and Tommy McCoole. Hi both of you. Saw the new messeage and inquirery. I have a reference regarding Olivia Mc Cool found in the Publication of a book ” Immigration of Irish Quakers into Pennsylvannia, 1682-1750, by Albert Cook Meyers, M.L . He is a member of the Historical Society of Pennyslvania. Book was published in Baltimore by the Genealogical Publishing Co. 1969. On p. 389 from the Duck Creek ( Camden) Monthly Meeting Deaware, Etc was a refereance to Gabriel amcCool producing his certificate fr the meeting at Dungland in Count Londerry and received 9 Mo.22, 1725. In 1717 John McCool from George’s Creek and Mary Howie were married . It then stated that an Olivia McCool married a John Hall in 1763. If this is indeed ( ?? age the mother of John Gabriel , James and William then the death date of 1730) is incorrect. However, this Olivia may or probably would have been a daughter of one of the sons. I have a reference regarding Olivia Mc Cool found in the Publication of a book ” Immigration of Irish Quakers into Pennsylvannia, 1682-1750, by Albert Cook Meyers, M.L . He is a member of the Historical Society of Pennyslvania. Book was published in Baltimore by the Genealogical Publishing Co. 1969. On p. 389 from the Duck Creek ( Camden) Monthly Meeting Delaware, Etc was a refereance to Gabriel McCool producing his certificate fr the meeting at Dungland in County Londonderry and received 9 Mo.22, 1725. In 1717 John McCool from George’s Creek and Mary Howie were married . It then stated that an Olivia McCool married a John Hall in 1763. If this is indeed ( ?? age) the mother of John Gabriel , James and William then the death date of 1730 is incorrect. However, this Olivia may or probably would have been a daughter of one of the sons. I, too, have the book by Albert Meyers and have seen the items you mentioned… and it certainly mentions a marriage of an Olivia to John Hall in 1763. I agree with you, that may not be the Olivia who is mother to Gabriel, James, etc. Tommy mentioned in an earlier post that there is info about an Olivia McCool death in 1730. I have found nothing about the date of her death… or where! She seems to have dropped out of sight after her arrival in the “lower provinces of PA now Delaware in 1729. Patricia, I noticed frequent mention of “PUGH” in the above site. I would sure like to follow our line of McCool’s back beyond John (b1675) and Olivia, but the information is very scant. I appreciate your feed back. I will look at the site you have suggested. It has been some time since I have done so. Does anyone know when and where the 1630 death date may have came from? There must be some speculation as to her state of health when she arrrived since her death appears relatively close to the arrival date. I would imagine she stayed with one of her sons in the Delaware area unless she did return to Ireland. Yes, the Pugh name is mentioned in several Quaker publications. My 4th great grandmother, Ann Wright Mc Cool was first married to James Adams McCool. After his death she married a Thomas Pugh, also a Quaker from Pennsylvannia. However, from tracing my husband ‘s family to Wales and also the above Thomas Pugh, there was no relationship between the families. Just a coincident. Has anyone been able to find a good site in Ireland to research Quaker records and/or immigration records for the Mc Cool’s. Thanks again to you and Tommy for all the research you both have done and posted for the rest of us. Hello Richard, my name is Holly McCool-Heimsath. I have been able to trace back to John and Olivia as well but would like also to go back farther. Do you have any information that you can share? My email is holly.mccool@yahoo.com. Richard; thank you for your kind comments. I’ve had a few ‘titles’ stuck on me at times, but never had anything close to ‘icon’ before. Hope that doesn’t cause difficulties for me when I try to get out this room again! Seriously though; nice to have had a personal word from you. I simply never realized that the wider family connection had extended to what it now is. I thought that our son was going to be the last of the name in the Toberhead line. His only child is a little girl, so if and when she changes her name, well…. there it goes. It’s only been in recent years that I learned through the internet, (initial contact Bettye McCool Johnson) that just about all of theToberhead McCools are over there; and thankfully we’ve even had the absolute pleasure of getting to meet and share a little with a few from that part of the world. Feel free to email me directly if you think I can be of any help. I should warn you though that records here are very sketchy and hard to come by at times. Patricia…same applies; I’ve noticed your name frequently where McCool related things are to be found. Charles…hello again to you as well. Hope everything is ok with you and the family. All of you…. Nice to read the various comments and to know you’re there. Tommy. I will be visiting Northern Ireland in May 2014 with my family including my mom Eva McCool. We would love to visit anything related to the McCool heritage. We McCools all seem to be some very passionate and proud people regarding our heritage! I have traced roots back to John and Olivia definitively, but would love to find something even older. Has anyone had any luck with this that as far as you know? Are there McCools living in Ireland now so that we might make a connection? I love that you picked up on the “icon” nick nmae for Tommy. If you get to meet him give him a handshake and a warm hug for me. Enjoy your trip… best regards. My name is Zach McCool and I live in Raleigh, North Carolina. I’ve recently been doing some research about my genealogy and have discovered that John and Olivia are my ggggggggreat grandparents. I’m getting married in July of 2013, and my fiance and I are planning on going to Ireland for our honeymoon. I’m hoping to get a chance to visit John and Olivia’s house in Toberhead. Any advice that any of you may have for visiting the house, as well as advice on things to do in Northern Ireland and Ireland, I would greatly appreciate it. I’d definitely recommend dropping into the “twin towns” of Stranorlar and Ballbofey in Donegal. In August of 2008, I went there looking for McCools based on a Griffith’s Valuation land survey (ca. 1840s), and as I drove into town came upon a large barnlike structure (a former funeral parlor/convenience store!) with McCOOL’S on it – many McCool’s on Facebook have since used this photo as profile backgrounds. I believe the building was set to be knocked down so I have no idea if it woudl still be there. Arriving in town, there were many McCools in town and most were very friendly – a local genealogy buff even took me around to some old McCool graves in cemeteries. You could also find the Sean McCool “football pitch” there – he was a football (our soccer, natch) player popular in the 1940s and also an IRA man, so a bit of a local hero and anyone in town would know his name. (A friendly local fellow named Dan McCool – my brother’s name – took me out for a drink with his wife and even left me a book on the Gaelic Games he had co-written including information on Sean McCool.) Also, what’s neat about the field is you can see the original Irish spelling of the name – MacCumhaill! Unfortunately I wasn’t able to make a direct connection to anyone in Stranorlar (then or now) but it was definitely worth a visit. The drive through Donegal is absolutely stunning. Incidentally, my “McCool” brick wall ends with Bernard McCool, born in 1846 in Blackstone, MA (border of Woonsocket, Rhode Island), the first McCool of my line born in America, and son to an Edward and Ann McCool, both of whom came over from Ireland – but that’s all I know about them. If anyone has anything on these names, please drop me a line at coolmcjazz at aol. Cheers, all! I am a McCool descendant and will be visiting the area in May of 2014 with my brothers and parents. Do you have any contact information for the current owners of the old house or someone in the area who may be willing to help us with our visit from Texas? I would love to know anything that is a “must see” over there. Tommy McCoole seems to be the authority on accessing the Toberhead house – he’s at tmccoole@talktalk.net, I think. (Or he comments often on this blog so you could just respond to him there.) I was there in January and was able to gain access to the area via the man who tended the land, but it’s a pretty large space and you’d have to ask where to go. I’d recommend doing what I didn’t do (due to the complexities of scheduling with other travelers in my group) which is to contact Tommy and give him an idea of when you’re going to visit so perhaps he can set something up. There are plenty of McCools in Donegal and Derry – but if you have specific towns you want to visit for genealogical reasons, that’s what you should do. I’ve been to Stranorlar (in Donegal) twice and met with some McCools, who were extremely friendly. I can’t prove a connection to any of them (yet) because my line goes back too far (pre-famine) but it’s at least an interesting adventure. Here’s my blog post on my visit to Toberhead, in case you’re interested. If you stop by a pub called THE FLAX INN in Magherafelt (a mile or two from the McCool homestead) and tell the young bartender Mark you’re a McCool from America, he’ll have some grand stories to tell of when we were there, for sure. I also happened upon a very old grave of a John McCool in Dungiven, not too far from Toberhead – there’s a picture in that blog post above. No idea who this John is related to but someone else might? For any McCools who are desendants of Westley McCool who died in Nashville (Davidson County) Tennessee in 1896 we are having a McCool Reunion….hopefully on part of his original property, on April 27th. trwrebel at comcast.net should you have an interest. My great, great granny was Margaret McCool who was the daughter of John McCool (Toberhead), born 1770 and died at the ripe old age of 89 (1866) so I’m guessing he was probably John A. McCool. Margaret McCool married William Spears/Speer on 18 July 1833 at Castledawson Church. 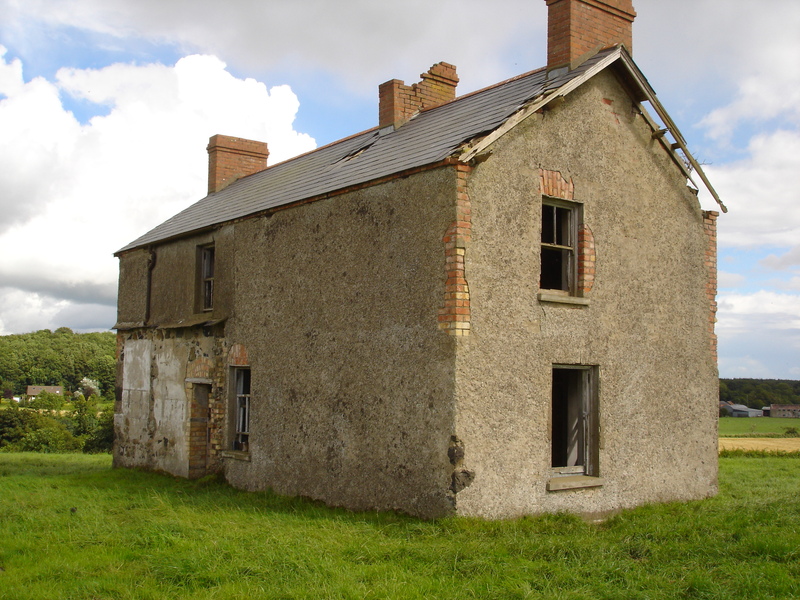 They lived on the Townland of Ballynocker around Castledawson before I think the famine of 1845 to 1852 got them. Three of their children (John, William and James-my great grandfather) emigrated to Australia between 1857 and the late 1860s. Margaret (she was also know as Jane) McCool and William Speer? in which case I’ll be able to look them up at PRONI when I visit Belfast again in June this year. I visited Castledawson Pres. church and manse and PRONI last year but wasn’t thinking about workhouses then as a possible fate for them. They had a son Samuel Speer (born 1842 Ballynocker) and together with his wife Rachel (Weir) and children Nancy, Samuel,James, Rachel, John Gamble and Mary Garvin Speer (stepchild), were in the 1911 census as still living in Ballynocker. I’m afraid I don’t know very much about the Margaret/Jane McCool whom you mention other than to say that the name and the circumstances do ring a bell. My records are unfortunately a little sketchy, but with a little time to peruse I may be able to discover something which will help a little in your search. I do know that the Speer name lives on around the Castledawson/Bellaghy area of south Co. Londonderry and I have in fact been slightly acquainted in past times with one or two who bear the name. I may be able to establish a contact there in order to open up another possible avenue of information for you. My apologies for the delay, but I haven’t been in this site for a little while. Guess I should pass by more often in order to catch up with all of my distant relatives. Best regards for now, Tommy. Castledawson area as you suggested you might be able to do. However, that would make her about 14/15 when she married in 1833 if it was her. Just to re-state my connection, James Speer (born 1845) is my great grandfather who is one of the sons of Margaret/Jane Speer(McCool) and William Speer. They were married in Castledawson Presbyterian church in July 1833. As I mentioned previously Samuel Speer the second oldest son (born 1842) married Rachel Weir in 1877 at Castledawson Pres. Church and their address was Ballynocker, probably the original family home. The family including Samuel were still living there in the 1911 census but I can’t locate any deaths for the family after that. They were still there in September 1912 because they all signed the Ulster Covenant and/or Declaration. I would really appreciate some contact details of any Speer in the Castledawson area as you suggested you might be able to do. Just to re-state my connection, James Speer (born 1845) is my great grandfather who is one of the sons of Margaret/Jane Speer(McCool) and William Speer. They were married in Castledawson Presbyterian church in July 1833. As I mentioned previously Samuel Speer the second oldest son (born 1842) married Rachel Weir in 1877 at Castledawson Pres. Church and their address was Ballynocker, probably the original family home. The family including Samuel were still living there in the 1911 census but I can�t locate any deaths for the family after that. They were still there in September 1912 because they all signed the Ulster Covenant and/or Declaration. Hi, just found your blog. John McCool was my 7th great grandfather. I live in Modesto California. Anxious to read more. Hi to everyone on here its good to see so many McCool’s! I’m not sure if i’m related to any of you? I live and was born in Liverpool,England,my father was Albert William McCool and his father too was Albert McCool,I was told our family was from Raphoe in Donegal Irland.Our family was the only family in Liverpool with this surname!so its good to see so many McCool’s,my brother thinks that our great great grandparents (not sure how many greats 🙂 ) came to Liverpool away from the famine in 1845.The great port of Liverpool was a gateway to America,where by all the big Liners sailed to NY,so maybe we could be related somewhere down the line. My gggrandmother was Margaret (Jane) McCool (see correspondence above dated March 3). There is a connection to Toberhead for her on her marriage certificate which is close to Castledawson. There may be a possible birth for her in Donegal but don’t think I have come across one in all my searches. However, three of her sons,at least, (John Speer, William Speer and James Speer) left from Liverpool, England. John, the oldest arrived in Melbourne on the “Lightning” in 1857 and the other two in the 1860s, James, possibly on the “Tornado” in 1863 and William, possibly on the “Great Britain” in 1865. I can’t find a death for Margaret (Jane) Speer or her husband William Speer (using all the variants, Speir, Spear, Spears etc) but if they ended up in a work house and died there in Liverpool/Manchester or Ireland, their names would not be online. If they did go to Liverpool, my gggreatparents would not have left Northern Ireland till after their last born child, Jane, in 1847. To update: I have managed to get in touch with a gentleman named Johnny Speer/s in Castledawson, with whom I have been vaguely familiar in the past on a ‘to see’ basis. I can’t recall ever having spoken with him previousy, but I was in the area yesterday and was guided to his home by a mutual friend who lives close by. However, he has referred me to a lady who is descended from the name and who may be able to help, so I’ll try that avenue. In reference to the post relating to the Donegal McCools (Patricia McCool Mcintyre; and hello to you Patricia) I can say that I’ve not been able to establish a connection between the Toberhead McCools and those of the name in the Donegal area although those areas are only around 40-50 miles apart. There may well be a connection nontheless. Our common line of descent is from John McCool of Toberhead, 1775-1865. Margaret (Jane) was his daughter. As far as I can ascertain, one of her siblings was Archibald McCool, 1805-1876. He was my g g grandfather. In any case I’ll get back to you as soon as I can with anything which we can dig up here. Oh;… meant to mention…I had contact some time ago from one named Lee Ross who lives in your part of the world. He is also descended from William and Margaret Speer. You can find him on the McCool gen forum. Would love to hear from any descendant of the McCool families that left the Bush River MM for the Miami MM 1803-1807. Interesting site – I don’t know if we are related but I do know my grandparents came from Ireland and were suppose to have lived in that general area of the island at some point. They traveled to the USA via Canada during the crisis of the potato. Family history says the McCool’s were ‘dirt’ poor. Not sure if that is true or not. I noticed the ‘e’ at the end of the McCool – any significance? Just for clarification – my grandparents were not Northern Ireland descendants – more closely identified with the rest of Ireland (didn’t care much for the Brits). No. 41, John McCool 4 males 4 females 1 female servant present 9 Presbyterians. The will of Archibald McCool senior of Toberhead was dated 27 July 1827. I take the Sarah McCool in the 1831 census to be his widow. The McCools of Toberhead previously appear to have been Quakers. PRONI MIC16/43 – Quaker records for Antrim or Grange [including Ballynacree, Toberhead, Coleraine & Antrim]. Archibald McCool disowned for ‘marrying a woman of different profession’. Jennet McCool disowned for ‘fornication’. At least 4 families from Toberhead were Quakers in 18th century – Backhouse family; McCool family; the family of Morgan Wilson; and the family of Gervais Johnston. The Quaker meeting at Toberhead was dicontinued in 1796. Hello – My name is Sam. My Grand Uncle (Backhus, originally Backhouse) did some research back in the 1940’s regarding the Backhouse family which he believed lived in Toberhead Ireland. His research came up empty at that time. However, he was able to find that my 6th Great Grandfather – Daniel Backhouse was born in 1708 and had married a Sarah McCool. Beyond that information I can go no further back. I do know that they were Quakers and that they and/or their progeny landed in the State of Delaware and/or Pennsylvania where they settled. I can’t help but wonder if the McCools and Backhouses that you mention are a part of my ancestry. Loved the photos and, until this afternoon, I was sure this was my McCool line but now I’m not so sure. The more information I looked up the more confused I have become!! This is what I was sure was my line …… Peter Salmon m Nancy McCool (Nancy was Peter’s second wife. Her older sister Margaret McCool was his first wife.) – Joseph McCool m Esther Baker – (Captain) Joseph McCool m Mary Jane Thomas – Adam McCool m Jane Mary Rhyne – Thomas McCool m Margaret Martha McGraw. Wow. Stumbled on this site. Greetings from our McCool line in Canada. Tons of us here. I had a re-union north of Toronto in 1998. Our branch starts with a James Joseph McCool born Sept 28,1858(-1925) in Ireland. Wed to a Mary Clarke born October 19,1864 (1934) in Ireland. I have a copy of our tree that was put together on heritage Family tree builder back in 2006. I have since come across two other branches of McCools that seem to go back to a James Mccool around the same time as ours. Our James had 3 daughters Mary (1889-1921) Margaret (1892-1979) Kathleen (1896-1976) and 5 sons Joseph,(1890-1968) Edward (1894-1914) James J ( 1989-1978) Leo (1900-1958) and Fr. J.A. McCool (1902-1963) I am assuming thee latter was a priest. My cousin Kathryn McCool traced our ancestry to the McCool ancestral home I am daughter of Joephine T , born to Bertha M., born to David A., born to John Henry McCool, born to Joseph Lewis McCool, born to Archibald born to William McCool (married to Margaret Walker) born to Archibald who died in the revolutionary war…. I had heard that my line of McCools fled to Canada from South Carolina during the Revoluntionary War because they were loyal to England. They later immigrated down into Michigan where we are. MY lineage is below, now sure who came down to Michgian when. I am Jeremiah McCool. I’m looking for ancestry information. I wasn’t sure if I was on the right track until I seen something about all the McCools from Missouri and Texas that’s my family. Lol My grandfather is Luther”Piddle”McCool. Any info on ancestry is greatly appreciated! Hi Del McCool from Central Texas. My family had the written time line for us back to Walter McCool born in 1772. That was a dead end for years. Then after researching it looks like this. Starting at John and Olivia, Walter and Mary, Samuel and Barbara, Walter and wife, John and Sarah T, William Asa and Louisa, Charles E and Lucinda, Robert Asa and Velma, to my father Delbert Sr. and Elizabeth. This starts in 1670’s and I was born in 1957. Enjoyed trading emails with Tommy in Northern Ireland. Still looking at stuff. I found a William and Alexander McCoole in Ulster Muster of 1630. They were in County Down near Bangor. Trying to see if they are the Scottish link. Hey Del, Any luck on the scottish link with Alexander? Rockyclark -Have not pursued it yet. Didn’t want to pay the $34.00 to get access to UK side details. Any luck exploring the “Scottish link”? Well hello cousin. I’m starting to work on mine and it looks like we go back to john and Olivia as well. Greetings, my name is Corey McCool. I live in Washington State, but I am from Evansville, Indiana. The Indiana McCools go back a ways: my Dad Donald, b1934, then Arthur 1910, George 1873, Jourdan 1836, Thomas 1800, Joseph South Carolina b1750, Adam South Carolina b1730, John Antrim County Ireland 1690, and finally John McCool b1675 married to Olivia. That’s what my research shows so I think the photos may be my ancestral home, John and Olivia’s. Awesome to see this. My wife and I were just in Derry August 2015. Now we will have to return for a visit, which we are excited to do anyway. Thanks for posting the pictures, and we hope to some day meet Tommy McCoole. That is amazing Corey. So glad you enjoyed the pix. I heard that my branch of the McCools were in S. Carolina during the Revolutionary War. They were loyal to England and some of them were shot by the patriots. They fled to Canada and later migrated south into Michigan where my family is from. Thanks for replying. Hello to all of you McCools out there who may be researching your family history or may at least have a passing interest therein; some of you whose names I am already familiar with and others not so. I have shared some recently discovered family information with Thomas E (Gene) McCool, who as you may know has for many years been dedicated to putting together an accurate and reliable history of the ‘American’ McCools; an arduous and oftentimes deeply frustrating task I’m sure, as the quality of information which he sought and found is most often extremely hard to uncover. Gene is to be earnestly commended for all of his labour and those of us with a genuine interest in our family history surely owe to him a debt of inexpressible gratitude for the long hours and the effort spent so that others such as we would have ease of access to the history of our own personal line of descent and present relationships. The least that we could do hereafter in respect of his efforts perhaps would be to see to it that accurate record of our presently developing families is kept so that future generations do not encounter the kind of difficulty and uncertainty which has been endured and ploughed through in order to provide enlightenment for those of present generations as to from where, and through whom, we have descended until the present day. The information which I have shared with Gene relates mainly to my personal line of descent and to my connection with all of you other Toberhead McCools who have descended from ‘John and Olivia’ of the 16-1700s: but there is also content which has been of use to Gene in the clearing up of areas which were previously an uncertainty to him because of lack of reliable and/or existing record. From that part of the content of my ‘McCool Report’ Gene has put together a document which you can access on the ‘McCool Gen Forum.’ The content of that document may be of value to you as you seek to put together a history of your own particular branch of the family. The McCool Gen forum appears to have been subject to significant development or change in recent times and no longer functions as it used to do, but if you enter by searching… McCool Gen Forum, then click on the entry which reads…. Benjamin McCool, Abbeville Co, SC…. (From Thomas McCool 05/12/13)…. on opening that, simply scroll down and you will arrive at Gene’s recent post which is added as a comment. I would also pay tribute to Bobby Forrest (forrestgen@gmail.com) who put my ‘McCool Report’ together, and without whose help and research expertise I would still have been floundering around in the uncertain mists of time. Bobby is a professional researcher, yes; but he is also a very personable guy who is willing to help and advise in any possible way. From one Charles McCool to another…great page with a picture from whence we came. John and Olivia is as far back as I know for us. What a wonderful find. Thank you! Hello all, I have just found a magnificent picture drawn by either A or B Mccool. a stunning sketch and i would really like to know its origins. It was signed sep 29 1888. any ideas? .Has anyone come across the name John Davidson McCool. He is my grand father. We lived in Pennsylvania, Mifflin County, Milroy. I would really like to know if any of you have relatives around the 1888 that were artists. I have this stunning artwork called ‘ the carrier’ and i can make out if the initial is an R,B or an A McCool. would really love to find its family. Thank you for sharing these pictures! My husband is a direct descendant of John and Olivia. We live in Tuscaloosa, Alabama.